Earlier this month Allotment Lovers caught up with Wendy and Peter Baillie. The married couple have been plot holders at Farm Terrace Allotments for 14 years. Although the allotments face the threat of closure the couple continue to tend their adjacent plots. In this video they recall some of their favourite memories. Farm Terrace – who’s side are you on? 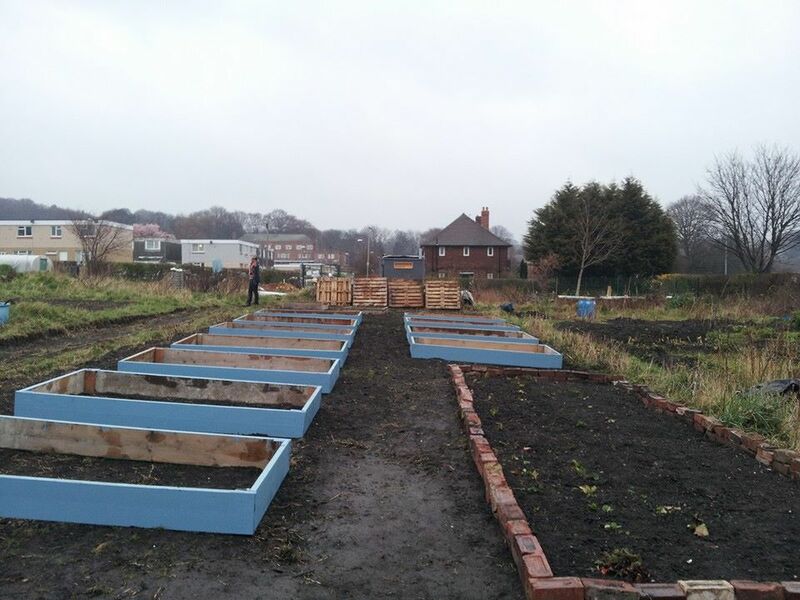 As the fight to save Farm Terrace Allotments from demolition continues, Allotment Lovers brings you up to speed with legal proceedings and the conflicting sides of the debate. Farm Terrace Allotments are located in West Watford, next to Watford Hospital, and the local football club. Previously a sewage farm, plot holders have been “growing their own” on this site since 1896, and benefitting from the rich soil. But the days of picking and growing might be a thing of the past very soon as Watford Council intends to build on the site. What they wish to use the land for is a source of debate. Whilst the council say they want to build an extension of the local hospital and a few homes, the plot holders believe the site will turn into car park and approximately 700 homes, leaving little room for a hospital extension. Secretary of State for Communities and Local Government, Eric Pickles, has granted the council permission to build on the land. By law any council that wants to build over an allotment site must seek consent from Mr Pickles. However, consent can only be granted if a number of criteria are met – one of which is that an allotment site is no longer required. So, on these grounds Farm Terrace has taken the government to court. A court date is yet to be set but in the meantime we spoke to three key people involved in the proceedings. Adam Hundt is a wawyer representing the plot holders. Here he sets out the legal case. Sara Jane Trebar, plot holder at Farm Terrace spokesperson says the council should not put plot holders in this situation. Grow your own? How much do you save? Does growing produce in allotments save you any money? It’s a question we’ve all probably asked ourselves. 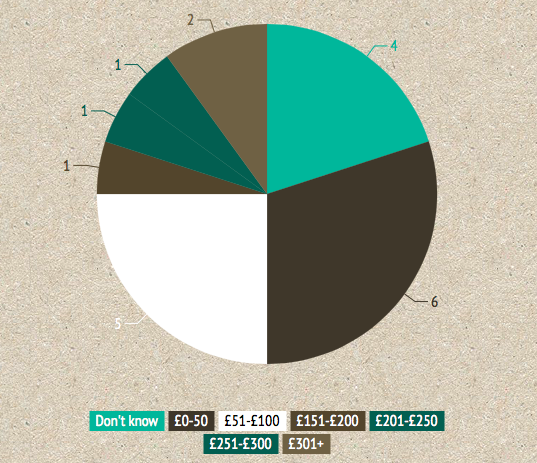 Allotment Lovers wanted to see if we could measure the savings of our readers so we complied a survey. Most people saved £0-£50, and well done to those of you who managed £51-£100. At the other end of the scale two contributors reported saving more than £300! What is clear from all of this is that we’re all at different stages with our plots and so the yield is variable. A survey conducted by Liverpool Victoria, a financial services company, in 2009 found that plot holders save an average of £950 a year! 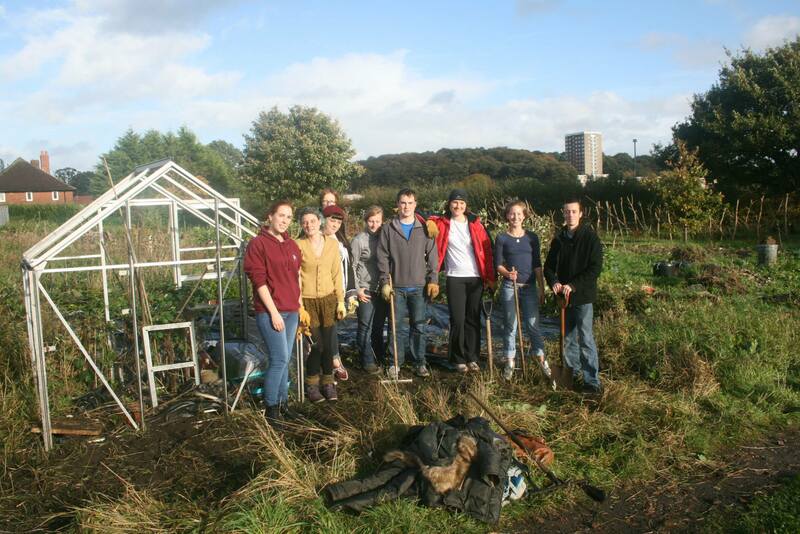 The National Allotment Society conducted a study the following year showing that the typical cost of running an average sized allotment of 250 square metres was £202. The minimum value of crops produced was £1,564, resulting in a profit of £1,362. Just like our survey the number of people contributing to Liverpool Victoria and the National Allotment Society’s analysis was relatively small. In addition to this, both organisations are yet to commission an up to date survey. So how can we measure what we save when we grow? Set up in 2012 MYHarvest project enables contributors to measure their fruit and veg yield, perhaps making it easier to calculate savings. The ongoing project run by Sheffield University, has collected data from two growing seasons and identified some clear differences between them. 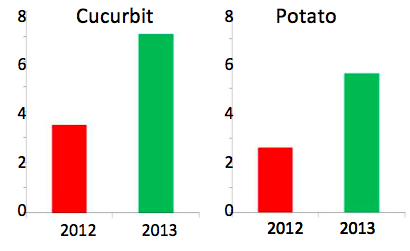 One grower, for example reported potato yields increasing from 2.6 to 5.6 kg m-2, cucurbits from 3.5 to 7.1 kg m-2, and a 30 – 40% increase in soft fruit harvest. So there are savings to be made. Those who have been growing for a long time and are frugal save money. I grow my own produce because it tastes nice and it’s good for my mental health. In the long run I probably spend more money on the seeds and renting my allotment plot. Sharing plots: a tug of war or a source of inspiration? LEEDS resident Paul Long had always wanted to teach his daughter where food comes from, but with no garden his plan couldn’t become a reality. 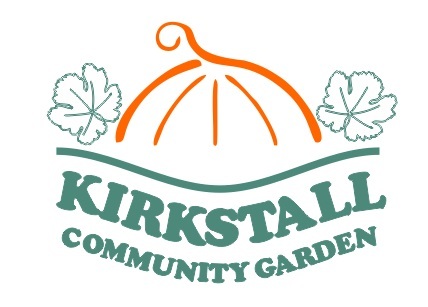 Two years on however, with the help of his neighbours he’s created the Kirkstall Community Gardens, originally unused land behind a local pub, he and his neighbours now share allotment plots at Churchlane Allotment, after the pub closed down. 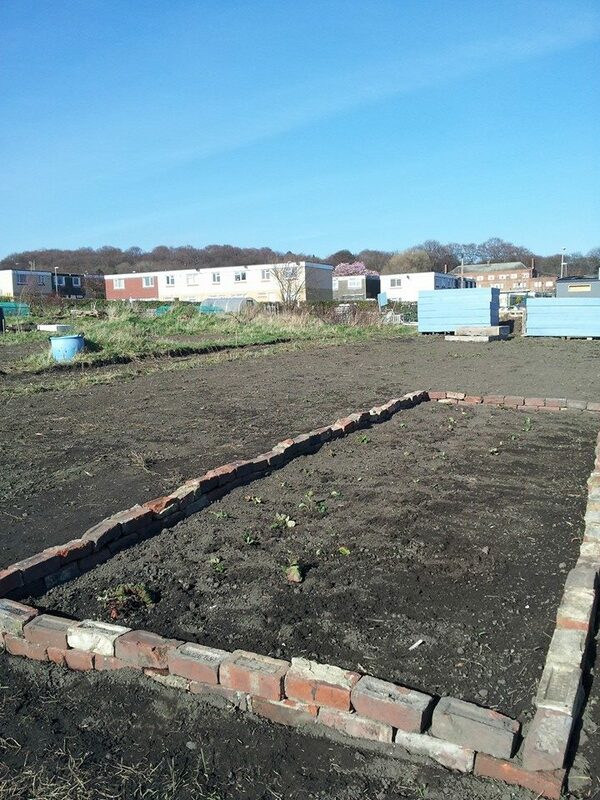 In this guest post Paul talks about his hopes for the future and how he intends to bring the community garden to life. My neighbours and I didn’t know how to go about setting up a community garden at first so I did some research online and talked to our MP and local councillors. They pointed us in the right direction and we formed an official Not for Profit community organisation with officers, trustees, volunteers and members. We then wrote a constitution, applied for some funding and looked at suitable land in the area. 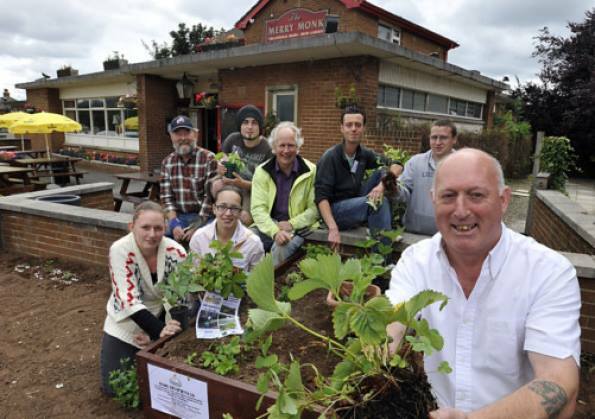 We also approached the local pub landlord who had a large beer garden and growing area which was not maintained. The idea was to transform this into a communal growing area where people could socialise and share the food that they grew with others. The landlord really liked the idea so we began work. Unfortunately refurbishment started and the pub closed soon after, but we hope it will re-open soon so we can continue. If it doesn’t re-open we plan to still grow things gorilla garden style, as some people may call it. In the meantime Churchlane Allotment Committee have been very welcoming and supportive. We rent two plots from them on a annual basis. 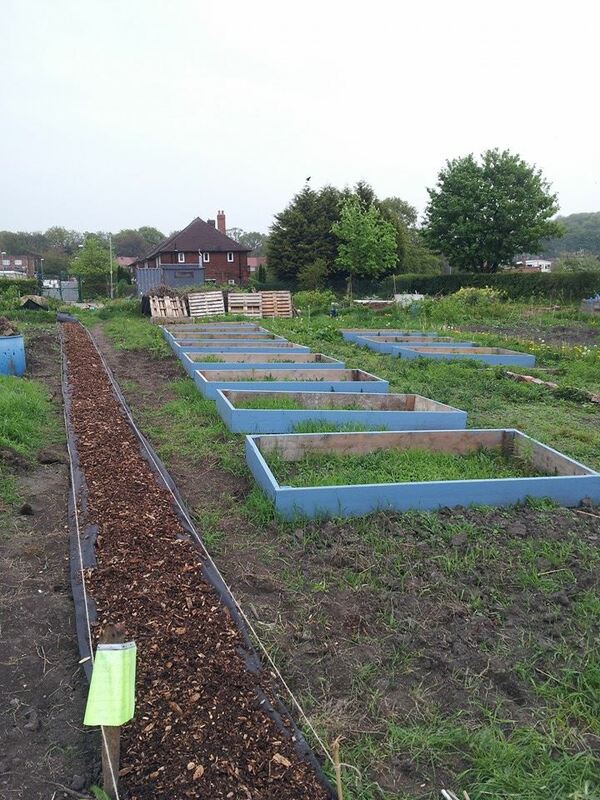 At the moment we are building additional growing space, we aim to have around 20 small plots measuring 4ft x 4ft for members, along with 15 community plots 8 ft x 4ft. Setting up a community garden does come with some challenges. When creating a community garden getting access to land is the main stumbling block. 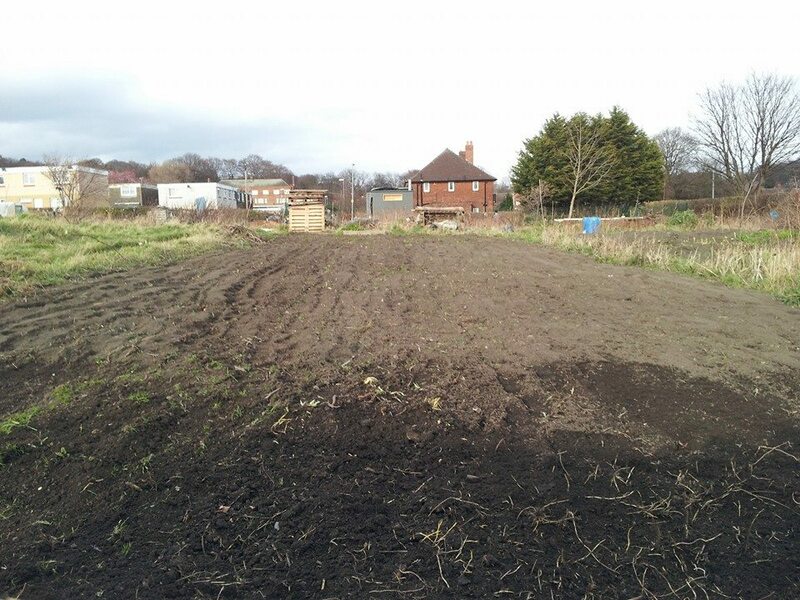 We contacted Leeds City Council about using a local field that nobody really used. The Council told us we would have to find which department own the land, then get a change of use order, hold a public consultation, fill in a stewardship agreement, and run soil tests – all of which could take months. Local residents have been fantastic and we have received so much help from several organisations. 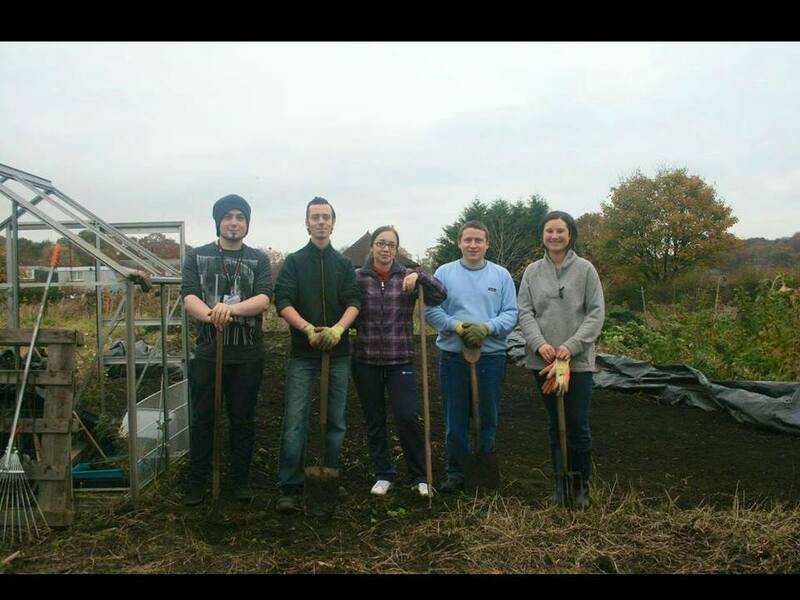 Lloyds Bank and Asda have sent teams of volunteers to help us with setting up parts of the community garden and Yorkshire Water very kindly donated some topsoil. Access to this site gives us an opportunity in the future to work with other groups such as Leeds Mind and Autism Leeds. We want to offer them a safe, secure environment where they can bring their members and use our educational facilities and resources. Along with providing free access to growing space I want us to set up disabled access and children’s growing beds. We also plan to install composting area and polly tunnel to help with growing produce, and a garden shed with educational tools and resources. In the meantime we have created a stargazing group which provides local people with access to telescopes. I am also working in partnership with Sensory Leeds with the aim to offer basic cooking classes to the local community using some of the produce that we grow. Inspiring people to grow food in their gardens is another thing I’m big on. We need to become a more sustainable community through meal planning, recycling and composting food waste. We’ve got things off the ground so I’m positive that community gardening projects can help make a difference throughout the country. We recently live blogged an exclusive foraging walk with @WildFoodUK, which took us through woods in Warlingham, Croydon, where we came across everything from leaves, nuts and mushrooms, to flowers and poisonous plants. We even tried a few of the edible (and non-poisonous!) wild plants and flowers. View the full live blog. 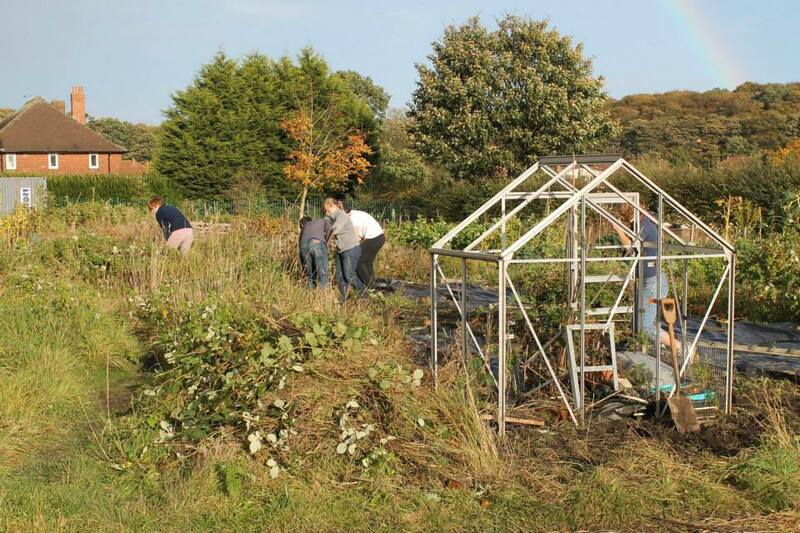 Is your allotment at risk of being vandalised? Alloments have existed from way before the first world war, all the way through to the present day – where more and more gardeners and allotment enthusiasts join their locals communities in secret green spaces and build plots, growing their very own fresh fruit, vegetables and produce. However, despite the fact the allotments have been around for quite some time, many of the sites are now at risk of vandalism. But is your allotment safe? Can you take precautions to protect your plot? 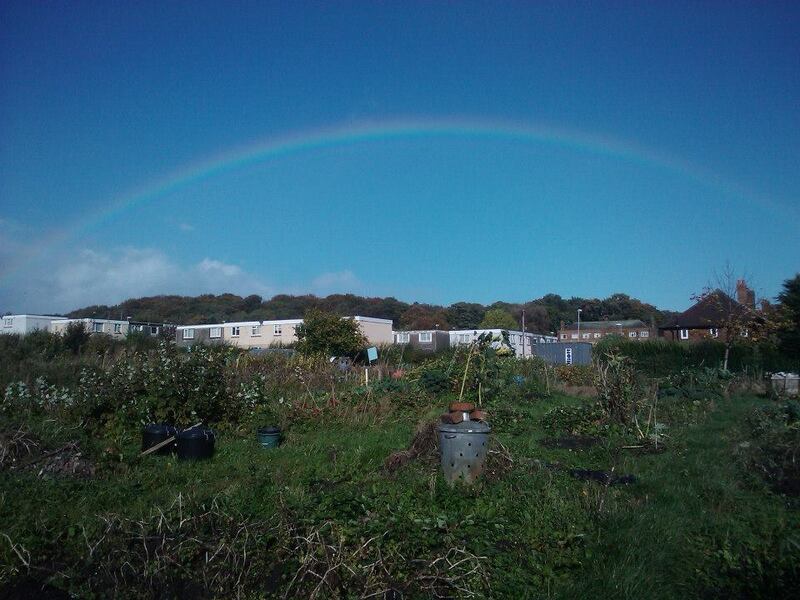 As demand for foodbanks increases Allotment Lovers explores how allotments can help. Recently released figures suggest that more of us are relying on foodbanks to supplement our food supply. According to the Trussell Trust, the UK’s largest foodbank network, over 900,000 people received three days’ emergency food from their foodbanks in 2013-14 compared to 346,992 in 2012-13. 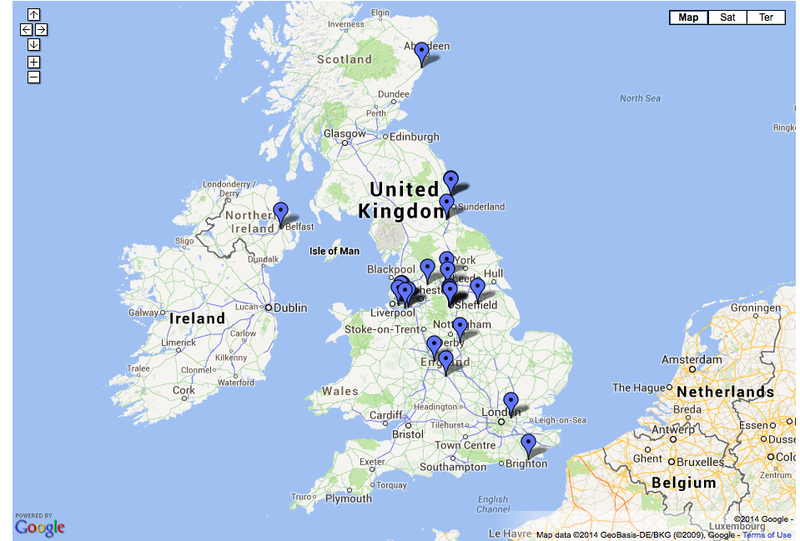 Whilst the accuracy of the figures were questioned in a Daily Mail article, the Trust maintains that while “there will always be those who try to abuse a system…our foobanks across the UK shows that these people are a tiny minority”. Judging from the @EndHungerFast campaign, which organised a Parliamentary vigil last Wednesday, food poverty is still a reality for many in the UK. With over 4,000 donations and over £59,000 raised so far the Trussell Trust has seen a surge in financial support following public outrage at the Daily Mail article.